We are offering Shut Off Solenoid Valves to our client. 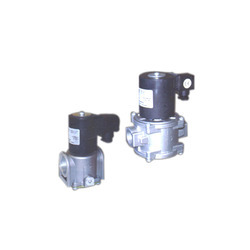 Our company offers a variety of Solenoid Valve. The design is of top quality and the product is fabricated from excellent metals and alloys. These are extensively used across various industries for holding load, priority flow and flow division. Being in accordance with set market guidelines we have priced them reasonably. Shut Off Solenoid Valve Assy. 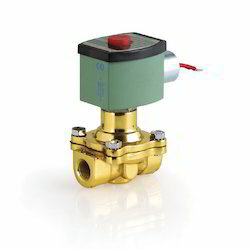 Riding on unfathomable volumes of industrial expertise, we are offering a commendable range of Solenoid Shut off Valve. Our offered range is widely applicable in a number of industries. Being a quality-oriented organization, we assure our clients that this cabinet is highly durable and resistant to corrosion. Quality makes all the difference. Especially for the Indian market, with its unique customized and changing conditions, we set and surpass our own high standards of reliability, safety and service-life. Our clients can avail from us Shut-off Solenoids that areused to shut off gasoline fuel flow when the vehicle runs on CNG.This solenoid shut-off valve is a two way pipe and cannot be operated manually. Besides, it is for normal aspirated (carburetor) engines. We make these solenoids available to the customers at competitive prices.